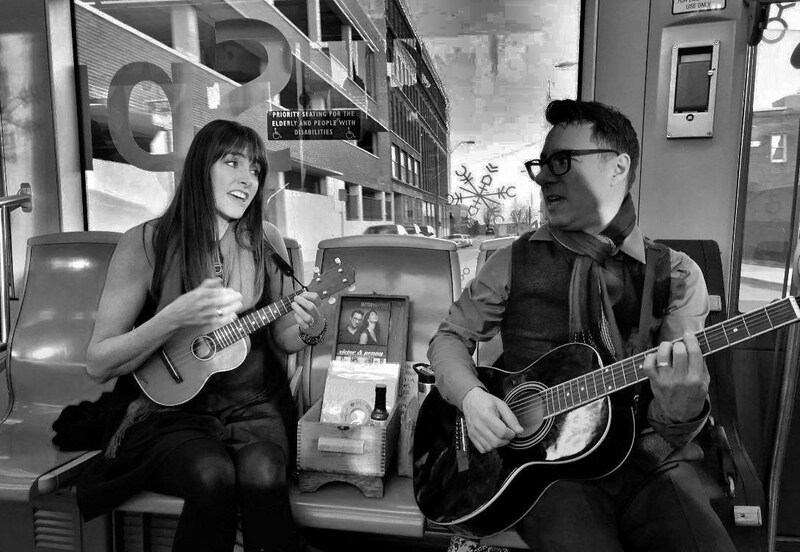 Victor & Penny perform on the KC Streetcar, 2017. The Art in the Loop Foundation is looking for talented, local musicians to perform on the KC Streetcar or at Streetcar stops during the 2019 Art in the Loop Streetcar Summer Sounds Music Series. The theme for the 2019 project is “Make/Believe”. Artwork will be installed at KC Streetcar stops and in Washington Square Park. Complete the form at the following link, including links to an online music sample or video. Applications without music samples will not be considered. Within the artist statement, please indicate why you’d like to perform as part of the Streetcar Sounds Music Series and what instruments you would use during your performance. Applications are due Friday, April 26, 2019. $300 stipend for one 2-hour performance with breaks. As these are paid musical performances, gratuity/tips should not be solicited. This is a competitive selection process. Qualified applicants will be notified of their selection status prior to June 1, 2019. Musicians must be local. Musicians can be individual or groups. Group size onboard a streetcar is limited to 4. If performing at streetcar stop, musicians must be able to provide their own amplification system. A portable power source is a plus. Musicians must be able to perform acoustic-style while on board the streetcar. Planned performance times and dates are listed below but subject to change.